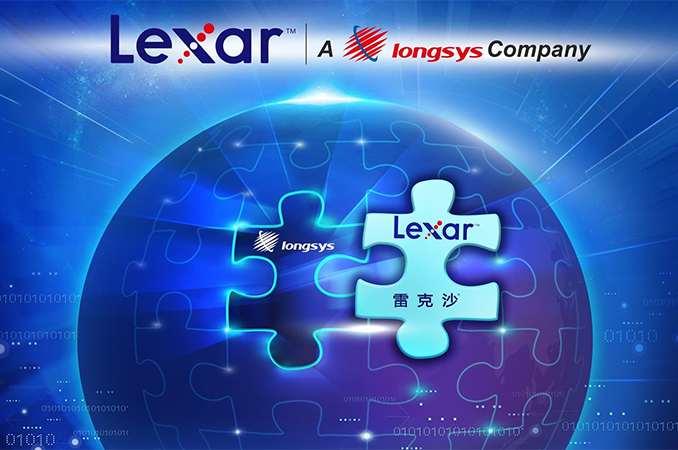 Longsys on Thursday announced that it has acquired the Lexar brand name from Micron. The China-based supplier of NAND flash memory-based products will use the trademark to sell Lexar’s traditional devices — removable storage like memory cards and USB flash drives. The company believes that going forward usage of removable storage will expand. Micron announced plans to discontinue its Lexar business in late June, possibly because of its slow growth and Micron’s intentions to focus on businesses that are more profitable. The company indicated that it would sell all or a part of its Lexar business, but it clearly wanted to exit the market of inexpensive removable storage devices. The two companies did not disclose financial terms of the transaction, but it is likely that Micron will have to reveal the sum in its quarter results. Longsys is a large China-based supplier of NAND flash-based storage solutions that include everything from memory cards to SSDs and embedded storage. The company was established in 1999 and currently sells hundreds of millions of NAND flash-based products every year, primarily in China, but also in many other countries. The acquisition of Lexar enables Longsys to enter the U.S. market with products carrying a well-known brand and therefore increase its sales. Unlike Micron, Longsys believes in long-term growth of removable storage products because new types of devices emerge (such as drones). What remains to be seen is whether Longsys intends to use the Lexar brand to market SSDs in the U.S., or only hopes to make memory cards, flash drives and embedded storage under the trademark. If the company decides to expand usage of the brand to SSDs, then it will compete against Micron using the latter’s NAND in the U.S., which would be an interesting turn of events. Lexar just went from one of my top two brands to "never buying that again".